Welcome to October 2018! 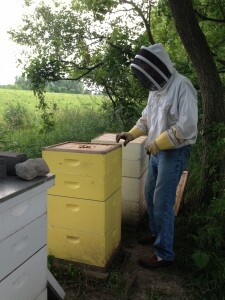 We’re finished taking orders again for our yummy Scott County (MN) honey. Thanks for your interest, but we have run out of honey this year. Please check back next year for the 2019 vintage. It’s been a pretty low-yield year. 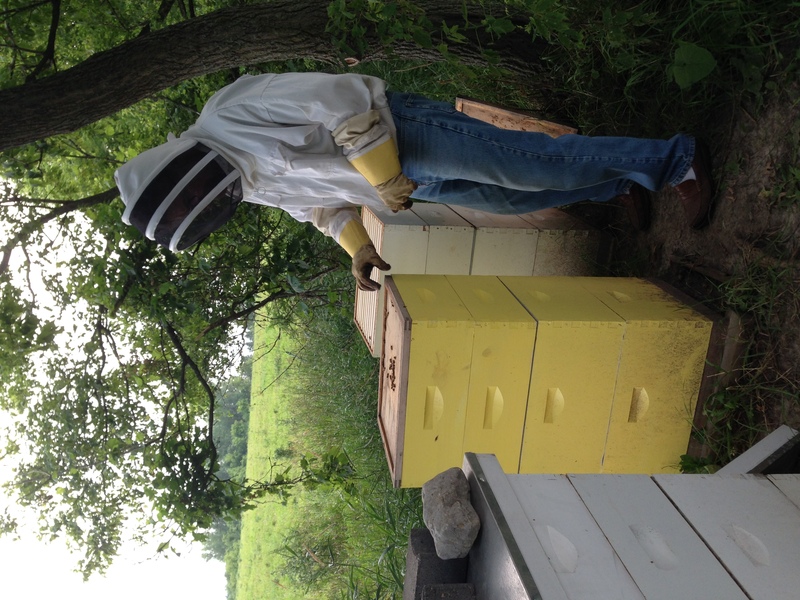 I’m not sure why we didn’t get the production that we had in 2015, but our bees are looking really healthy going into Fall & Winter, and the relatively small amount that we harvested is really good. October means that the last of the goldenrod and small fall flowers are done blooming, and the bees are getting ready for winter. We’ve had one hive on Zweber’s farm dedicated to my son Will, who was killed in a tragic train accident in September 2012. The hive in the pictures, was painted his favorite color , yellow. We didn’t get any honey from that hive this year (OR last year), but we’ll see about getting those bees to cooperate next year. We harvest this hive separately to keep this honey as special as possible. Proceeds from the special bottling go to a specific organization in Will’s name. Next year. The rest of our hives’s honey will be extracted, blended and bottled as “Sweetness Of Beeing” 2018 honey, and if early taste tests are any indication, this is going to be a really good year. If you’re in the Mpls/StP area, be sure to use the option code “pickup” in your PayPal cart to avoid shipping costs — we’ll be delivering in the Twin Cities metro.